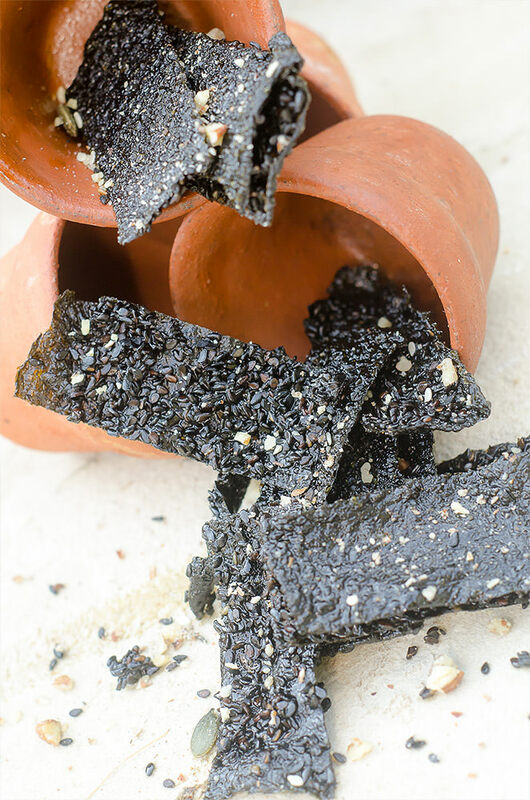 Today I'm going to share with you the recipes that have stood the test of time. Ones that my team and I are always tempted to try and try again. Even after the many years of serving them we can't resist stealing a teaspoon or two from the pot. Food styling and recipe development by Elaine Boshoff. Twelve years ago, a blue-eyed, blonde-haired 19-year-old stripling was handed the keys to the Hartford House kitchen, and told to run. Jackie Cameron had big shoes to fill. The man who interviewed her for his job, was being redeployed to our new venture, Lynton Hall. A legend already, Richard Carstens was on his way to new-found stardom as South Africa's Number One chef, and the hole he left behind at Hartford was going to take some filling. Undaunted by the challenge of facing the doyens of the critical media in her first week at the office, our young lady greeted the formidable forms of Victor Strugo, Metchild York Mitchell, Anne Stevens and Jos Baker through a door once darkened by the former Prime Ministers Winston Churchill, Jan Smuts and Louis Botha. It wasn't long and she'd attracted the encouragement of Abigail Donnelly, Anna Trapido and Derek Taylor. In the dozen ensuing years, she has made the Hartford restaurant her own. In between, she's enjoyed the acclaim of an adoring fan club, she's festooned the pages of the culinary weeklies and she's survived a couple of critical accidents. A regular feature in Eat Out's "Top Ten", Hartford is now "bucket list" for any self-respecting gastronome, not the least of whom, Bruce Palling, The Wall Street Journal’s senior European food writer: "I had imagined this was a charmingly backwatery sort of place that was suffering from being there too long. Big mistake. I would put Hartford House in the same league as Faviken in Sweden and the Royal Mail in Australia as one of the very best remote places to eat anywhere on the planet". Doesn't get much better than that, unless you're talking about Eat Out's Top 5. Jackie Cameron intends opening her own exclusive cooking school in Hilton in the new year. As good as she is as a cook, she's as adept at teaching. Her legacy at Hartford includes the elevation of three young Zulu ladies of limited qualification, from the scullery to representing South Africa at cooking exhibitions in Zurich, Prague and Shanghai. Her leaving is not the end. It is not even the beginning of the end. It is just the end of the beginning. Cheryl Goss, Hartford's originator and the hand that's blown the wind up Jackie's skirt, has twice helped chefs to the mountain top. Richard Carstens was Chef of the Year, Jackie Cameron is now the leading lady. Who's to say we can't do it again? The greatest compliment we can pay to the past, is to preside over a seamless transition to the future, preserving the things of value and building on the base that's thrilled so many ever since the doors opened here. 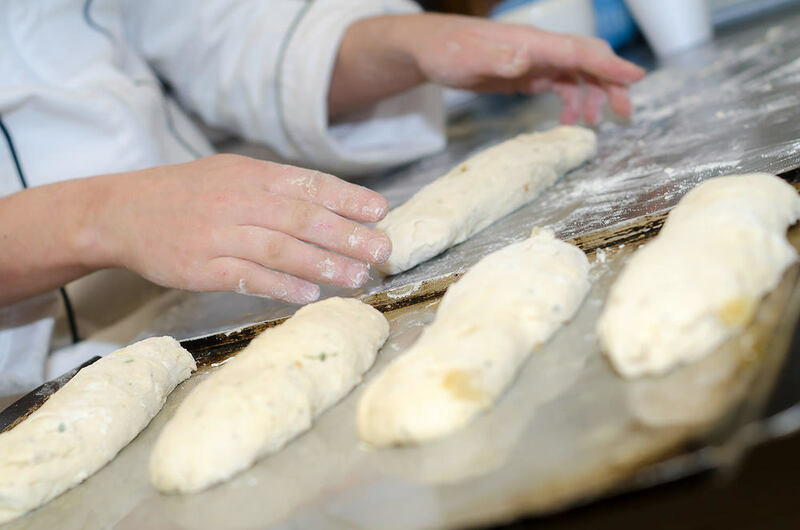 The tradition of good cooking is as old as Hartford itself, and our graduates have populated some of the best kitchens in the land. Aaron Maduna, once the Goss family's private cook, became head chef at Mala Mala before returning for Hartford's opening as a hotel. 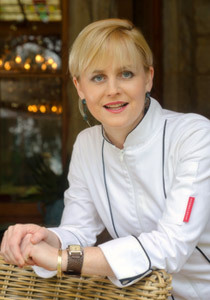 Salmon Nell became head chef and private housekeeper to Bridget Oppenheimer, while Floris Smit is the man behind Bushman's Kloof's reputation for fine food. This time, we're handing the baton to one of Jackie's protégé’s, Travis Finch, whose pedigree includes an insatiable curiosity, boundless ambition and a sense of je ne sais quoi, a globe-trotting CV at several leading European eateries, and especially a stint under Peter Tempelhoff at one of Cape Town's "temples", The Greenhouse. Travis is joined by another Greenhouse graduate, Brendan Ryan, whose move from Singita to KwaZulu-Natal was spurred by the adventure of doing something extraordinary in a remote location, where you're not just one of several in the same street, and comes with the strongest commendation of the legend himself. That's what brought Carstens and Cameron here, and look where they ended up. Bread rolls can be bought but homemade is always so much better, if time allows. Hot and soft - fresh from the oven - and slightly sweet smelling is what I enjoy. My cravings are not limited to chicken livers; I also hanker after boerewors, tomatoes and hot peri-peri sauce. With the result a staff meal at Hartford often ends up being a wors roll. Thick lashings of butter, English mustard as well as tomato-and-onion chunky chutney - or a homemade onion relish - more-than meet my craving. Try my fancy boerewors roll. 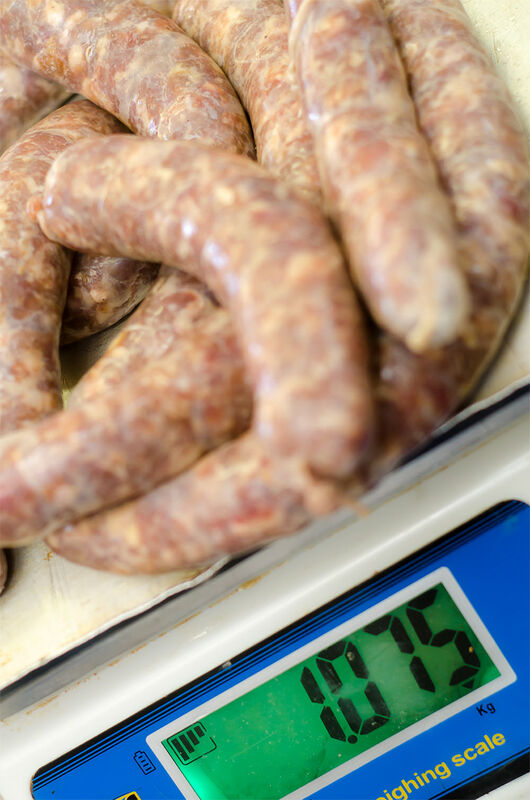 Can/should a wors roll be fancy? Some foods are fit for kings and, I might add, queens! Does a boerie roll qualify? I'll leave you to answer as you celebrate our heritage with a boerewors roll in one hand and a beer in the other - even better if it's a craft beer created by Megan Gemmell of Pietermaritzburg... contact her at megan@clockworkbrewhouse.co.za. I grew up with Megan's brothers who I met through my friend Kelly Clarke; we were all around the same age. I always advocate supporting local artisan companies - knowing the brewer, in this case, makes the experience that much more enjoyable. What a gem in the already sparkling crown of the Midlands. If you've never visited this welcoming, off-the-beaten track place, there is every good reason for you to do so. It surpassed all my expectations. After spending a morning chatting to Marian over a couple of cups of coffee - or more - she generously gave me a variety of coffees to taste; this provided much fun-filled interest over the last week. It is quite startling how one cup of coffee can taste so different from the next. Taking into account the bean type, where it is grown, how it is roasted as well as when it is roasted and stored. My suggestion to all readers who appreciate good coffee is to find a coffee house and to taste your way through the different coffees until you find the perfect match for your palate. I now know that my favourite Terbodore coffee is a toss up between Mac Espresso and Great Dane. Like everything, even taste buds change so, if your cuppa isn't giving you the kick you desire, get out and start the sampling process again. It's an educational and fulfilling way to spend a few hours - and most of all it's fun. First up is a moist nutty coffee and cranberry loaf. The diverse textures are interesting in every mouthful and there is an exciting burst of sweetness from the cranberries. Risotto need not be always savoury. Thinking rice pudding, this sweet and spicy coffee risotto was born. Serve with fresh berries, chunks of chocolate and thick dollops of cream for a quick dessert option. Chocolate, peanut butter and coffee frozen delight combines two of my favourite quick-and-easy desserts into one. 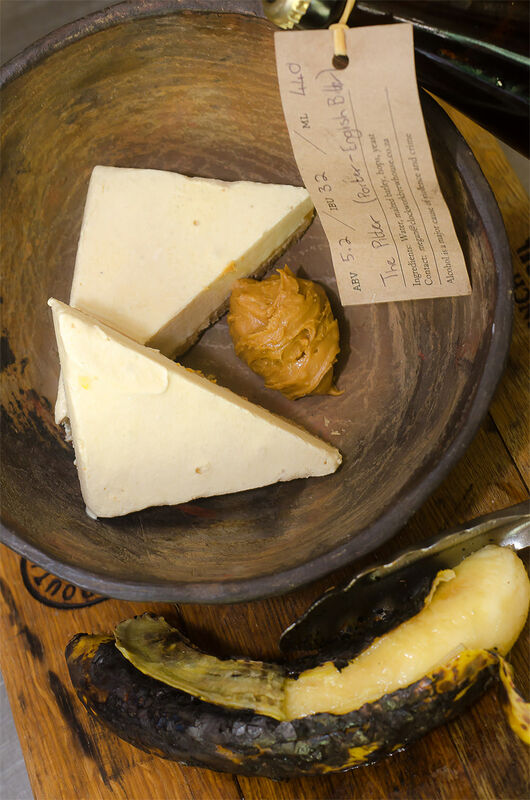 This combination of sweet and savoury is decadent on all levels. More is less and it's the simplicity in Amber-Rose's Amarula Frappe that impressed me. She is a trainee and when she walked into my office with this coffee frappe I knew she would slot right into our team. Try it as a refreshing alternative to a hot drink. I can't imagine why Id never thought of coffee muesli before this. It successfully mixes two of my favourite breakfast combinations into one making an ideal start to any morning. 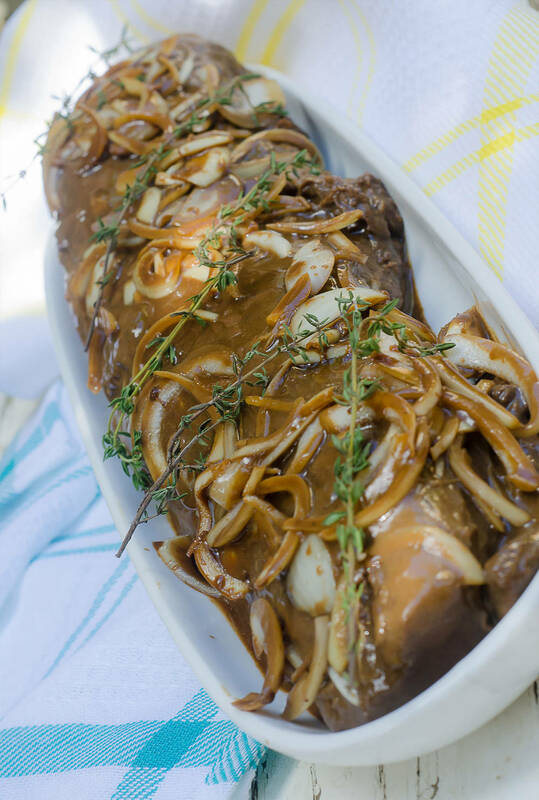 Coffee-marinated beef fillet caramelises exceptionally well on a braai and adds an unusual savouriness. I'm sure this will go down particularly well with the men folk. I look forward to uncovering more Midlands gems and I raise my coffee cup in celebration of the many exhilarating country outings we are privileged to have on our doorstep. Who knows, with the copious amounts of coffee I consume everyday, maybe a Jackie Cameron coffee blend will come about! Remember life is too short to drink bad-quality coffee. It's hard to believe, but it's verging on eighteen years since Cheryl and I vacated Hartford House to make way for the pleasures of what has become a devoted public. If that sounds like a sacrifice on my part, it was, not so much for the public benefit but for a frustrated wife who understandably wanted to do something to create her own legacy. You see, I was quite comfortable in a residence which had once served the families of the colony's last Prime Minister, and the converted stable block at the other end of the farm was an unlikely substitute for the opulence of the old manor house. I have to confess though, with the benefit of hindsight, the joys Hartford has brought to travellers from far and wide and the reciprocal satisfaction it has given us, has reminded us that we only live once, and if we do it right, once is enough. Those early years were a bit hit-and-miss, as neither of us or our immediate family had known the hotel trade, though it's fair to say, there's probably a little farmer and a tiny hotelier in most of us. Hospitality is a hard business, particularly at the top end, where guests expect and are entitled to get the best bang for their buck. But if you think that's tough, you should try your hand at the culinary business, as long as you can stand the heat in the kitchen. Our cooks (you'd hesitate to call them "chefs" at that stage) were lucky in the early years to enjoy the encouragement of a legendary assembly of mentors, the Victor Strugos, Joss Bakers, Mechtild York-Mitchells, Anna Trapidos and Derek Taylors of the world, critical doyens of the culinary arts, who probably saw in us a lot of enthusiasm and determination, but not much in the way of finesse and style. Without their support and guidance, none of what you see in the 2014 version of Hartford House, would've been possible. Just recently, we hosted one of our old favourites, the formidable former Food Editor of The Mercury, Anne Stevens, who's been as fundamental an inspiration to our team as any, even if that was driven in part by a fear of falling on the foul side of her columns! Anne tells it like it is, no matter who you are, and her unique mastery of the English language is an added advantage in expressing her likes and dislikes exactly as she intends them. Jackie Cameron remembers her first week in charge of the kitchen at Hartford, after she'd taken over the reins from another celebrity of the time, Richard Carstens. He had just taken on our other new venture, Lynton Hall, which he took to the top of the South African cooking pile after his stint here. The opening of Lynton literally threw Jackie to the wolves; first Joss Baker, then Victor Strugo and then Anne Stevens in a matter of seven days, for a 19 year old. The sense of enterprise that marks her cooking to this day was her saving grace in what to most of us, might've been the longest week of our lives. Jackie was out in the picking garden, trying to work out what she was going to make for Mrs Stevens' dessert that evening, when Anne was greeted by the "welcome" gang at the carpark under the old oak tree. The penny dropped when an irresistible cluster of ripening gooseberries had already found its way into her basket; she fashioned in her head a miniature baklava replica of the same basket, laden with fresh gooseberries and an accompanying sauce. That Anne Stevens loves a bit of "tart" in her dessert, was the catalyst that exemplifies the mutual admiration the cook and the food critic share to this day. It's apparent though from Anne's most recent column, that the "cook" had obviously overlooked this vital piece of "intelligence" in formulating this year's menu with Frangelico Dom Pedro and Gooseberry Jam, Milk Biscuit, Brioche Rusk and Berry Sorbet for "pud"; the veteran's suggestion that "something light and citrussy" might've done the trick, tells us Anne still has "tart" imprinted on her mind, though Jackie's retort is that with the gooseberry jam, she was only trying to demonstrate how far she'd come by dishing up the gooseberries in a new form! Either way, it's a compliment to Anne's status as a writer, that a chef of Jackie's modern-day renown, should still recall what she made for dessert on a particular day those twelve years ago. This is what she had to say: "It's not entirely flowery nonsense to say that Hartford House near Mooi River provides the ideal hothouse to nurture the talent of its award-winning chef. Jackie Cameron has, in the eleven years she has been there, been afforded every opportunity to grow her skills, and every chance (thanks to owners Mick and Cheryl Goss) to travel the world and sample some of its best food. The result is that she continues to rack up awards, largely being regarded as one of the country's top 10 chefs - a distinction she alone in KwaZulu-Natal has apparently merited. Keeping a talent like hers alive in a country setting is not easy, and every year to 18 months I return to Hartford, waiting to hear that she has been lured to the big city for more money or glory, or to find that she has lost her edge. Not so. The chefs who resided before her at Hartford did so briefly, and often with no distinction. She has proved the exception. Whether she could still bloom in the strict confines of a commercial city restaurant is a matter for speculation, but her food is extraordinary. Very little is done purely for effect. Every dish evokes some memory for her, and is layered with thought as to what the whole will become, what will make sense to the tastebuds. Sliced raw scallops marinated in Japanese miso sauce and served with a swirl of julienne cucumber, asparagus, spring onions, celery and leeks, blobs of avocado puree' and miso paste was a simply delicious combination, each little element adding to the whole. And on the side was clever semi-set globule, a mojito flavour. I'm very much over the whole molecular gastronomy thing, but Jackie used it here as just a side issue, something to wake up the palate. And the palate already needed wakening, after a platter of breads on the table that included patha bread, made with madumbe leaves and chilli (bringing together two cultures as Jackie says), health bread, chillibites and mealie bred with a spinach dip on the side. It was too easy to dive into that with abandon. The scallops were followed by a smoked mussel soup which had nothing to do with smoked mussels. Fresh mussels and little pieces of nori (seaweed) were given crunch with thin, crisp, fried potatoes and garlic chips bathed in a broth served separately and poured over. For a fellow diner it was the piece de resistance. Next came the sliced meat and "coq au vin" dumplings, with a light jus poured over. Once again, everything worked in perfect harmony. But nothing could have been as harmonious as my favourite dish of the night, which was rather unpromisingly labelled as samp and beans. That was just the base though, a sophisticated take on the staple starch, studded with nuggets of meltingly tender, slightly crisped chunks of tongue, cooked sous de vide for 35 hours (which is, not to put too fine a point on it, boil-in-the-bag cooking). With crisp roast carrots, fresh horseradish and crunchy cabbage, it was a dish to savour. I found myself longing for a plate of just that the next day. After all that richness, the dessert was just not for me. Something light and citrussy might have done the trick, but a mix of something with Frangelico liquor, gooseberry jam, milk biscuit, brioche rusk and berry sorbet I could not do. Particularly with a chocolate topping. And I could not even dip into the plate of home-made chocolates, Turkish Delight and other goodies passed around with coffee. It was a dinner to remember, a memory to savour for another year. And by then, maybe Hartford will have moved beyond the old choice of tableware. Dishes of such style are not improved by being served on tiles and half-bricks, or in the case of the dessert, in a petri (laboratory) dish. I was glad the sommelier had pointed out the latter to me: I might have spent some time trying to crack what seemed like a particularly recalcitrant sugar crust". With leisure time becoming an important part of family life, Hartford House has relaxed its no-children-under-12 policy. We always ensure families with young children have their own private dining space so that parents, youngsters and guests looking for romance and tranquillity all find what they expect - and more. It pleases me to see the many children who pop into the kitchen and then want their picture taken with me. Long may their interest in food last! MasterChef has been greatly instrumental in rekindling culinary enthusiasm in the young - and the young at heart too. This interest inspired me to create aprons for the young 'uns remembering full well how much mess they can make. So, I have my existing women's chef range and now a range for aspiring chefs. I have been promising to launch my male range, and as soon as time is on my side I shall fulfil that undertaking. This month's article is dedicated to children so I invited a few local Midlands youngsters to model my 'Jackie Cameron aprons' and to bring along their favourite recipes. The children were charming and their contributions promise to tickle your taste buds. Philippa Farley, who delivers farm-fresh ingredients from whole quails and quail eggs to birthday macaroons, has become one of my friends and her daughter, I'm told, is my "biggest smallest fan". Zoë is two and a half - don't forget the half! She started off shyly as she presented her beautifully-made macaroni and cheese topped with a thick layer of bacon, chopped tomatoes and feta but eased up when I 'oh-ed' and 'ah-ed' over her contribution. Besides baking, Zoë, a true little farm girl, spends most of her days playing with her puppies, dogs and horses. Many of the Hartford Hotel team's children have spent time with me over the years. They all seem to enjoy being in my company - but, if I'm truly honest, it is probably the cookies and chocolates that keep them coming back! Happy Anatoria Dube works in the housekeeping department. She loves to help us bake so her daughter Ntando invariably gets stuck in too. Her freshly-baked hot amagwinyas go down as a treat with all of us. Most of the women eat them plain - not me. I take half with layer thick lashings of butter and marmalade jam on it. I am tempted to eat the other half - but resist. With her apron on, Ntando was ready to strike a pose for the camera. Agricultural manager at Summerhill Stud, Mark Jonsson, and his wife Jodie, brought their three little girls to see what was going on. Paige (6) was a somewhat apprehensive about having her photograph taken but warmed up to Karen Edwards, the photographer, and gave us some lovely shots. Paige seems to have an adrenalin-junkie streak in her because I see her riding her bicycle or motorbike at speed - and she has the motoX shirt to go with it. However, stepping into her mother's kitchen and helping make banana cake or muffins is always considered a treat. The twins, Georgina and Annabelle (3), were not one bit interested in having their photographs taken no matter what the dangling carrot was. After much persuasion we finally got them stepping up to the table and each character shone through the lens of the camera. Their crumpets were mouth watering. 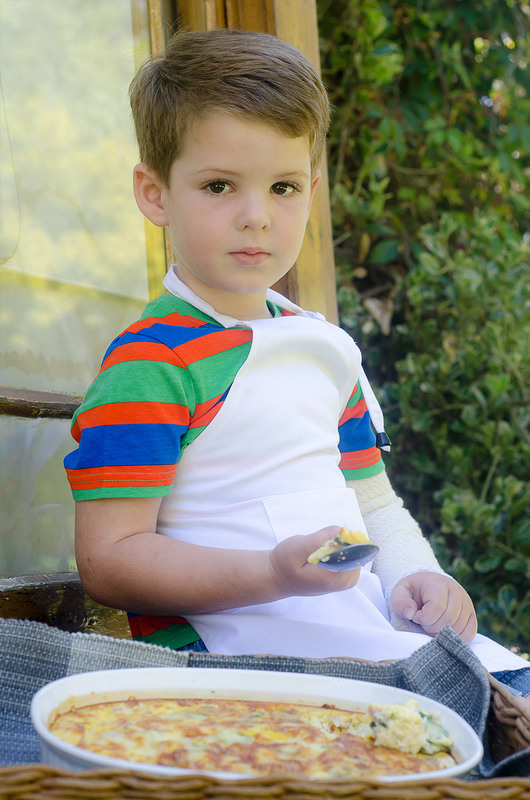 Merrick van der Bank (3) arrived with a fractured arm. He was the only boy and he charmed us all. How we envied his stunning blue eyes and long, enticing eye lashes. Apart from his interest in riding and swimming he has creative flair in the kitchen. I believe my apron will get some good wear in that home. He brought the most deliciously-simply baked-bacon and baby-marrow frittata with him. People often complicate things. A frittata, with available ingredients, is an ideal light meal when time is tight. Megan James arrived with her daughter Phoebe and a large tin filled with the tastiest chunky chocolate cookies. This little lass is truly mischievous - an authentic farm 'meisie' who loves baking and getting her hands full of a butter-flour mixture. Besides food, she loves animals and is often found carrying her chickens around with her. Here's hoping many more children get into the kitchen with their parents. Learning how to cook from a young age produces confidence for later years. 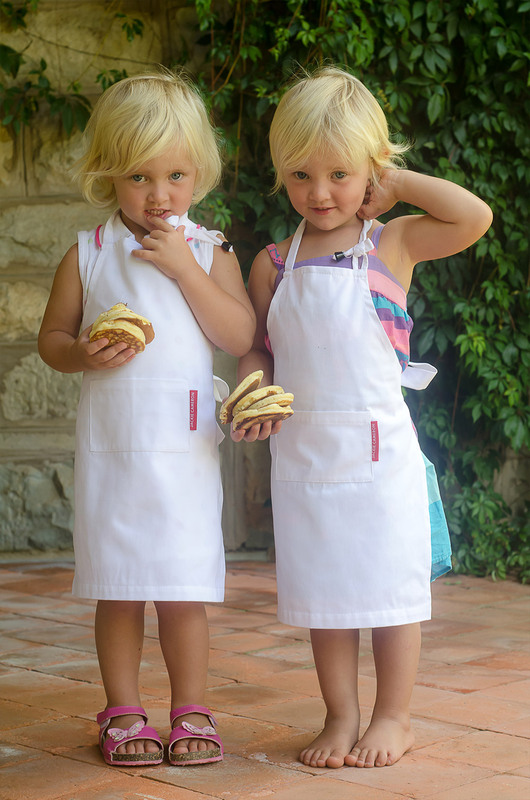 I hope my little aprons (R80 each, ordered through my website - or contact me directly on jackie@jackiecameron.co.za) are an inspiration to all. Happy cooking! As most people gather kilos over the festive season I'm inclined to shed weight. This is a busy time for chefs and, while keeping guests well fed, the last thing on our minds is feeding ourselves! Yes, we taste a lot but seldom sit down to a real meal. So, as we moved into January, my craving was to make hearty food in my own kitchen that would ooze the aromas of pastry delights. If I remember correctly, my love of cooking stemmed from my desire to bake something sweet and pleasing that we, as a family, could enjoy. Over time I have learnt the necessary techniques, and with many years of experience under my apron, I could never resort to 'buying' over 'making'. Regardless of how many times I make puff pastry it's always thrilling to see the perfectly laminated layers of butter. Remember to bake this pastry between 200 - 220°C to ensure the oven is hot enough to crisp the pastry otherwise you'll have butter oozing out, spoiling all your hours of love and labour. It really is very easy if you follow this step-by-step recipe. Puff pastry is versatile for either sweet or savoury dishes. A perfectly-roasted beef Wellington wrapped with chicken-liver-flavoured mushroom duxelle and blanketed with hand-rolled puff is my idea of a hearty meal. Brioche - this enriched bread is jam-packed with a sugary butter that adds a savoury but sweet flavour. It delivers an interesting fine, almost-aerated crumb and it freezes like a dream. If defrosted properly, your guests will think it has been newly baked! In a perfect world I would always have a loaf by my side! Doughnuts... Wow, they bring on childhood flashbacks! We spent every holiday at our family beach cottage in Pennington Park. The local baker lived opposite us and before I was even awake my younger sister had walked to the bakery and had munched through her daily fix of a jam doughnut. In those days (oh dear I sound just like my parents!) it was safe for us to walk around, unaccompanied by an adult. The doughnuts were so memorable, and I have tried to create a recipe worthy of the man who thrilled our sweet teeth many years ago. The only person who'll be able to tell me whether I have succeeded is my dear sister who, I know, will willingly take up the challenge! Genoise, used for making several different types of cakes, is a basic ingredient for many French patisseries. I, however, believe it was originated in Italy. If you have a good genoise recipe you will never get stuck. Think a flan base, in-season, fruity cream cake, drenched with liqueur; use in a trifle; or as 'lady finger' biscuits in a tiramisu. Use less flour and add cocoa for a chocolate genoise. It's so versatile and well worth memorising the ingredients. Phyllo pastry... this is something I haven't made in years but I was recently inspired when a local resident brought me a few tastings of her homemade Greek specialities. If she could do it then so could I! Time is of the essence but the result is worth it. Sweet or savoury - phyllo pastry has a place in the kitchen. When it came to profiteroles/éclairs we, as a family, were guilty of overindulgence. I clearly remember the excitement of going to functions when my aunt, Molly Cameron, was catering because at dessert time the tables, groaning with the weight, would be laden with these delightful treats! For my final exam at St John's School I made a perfect savoury profiterole/gougere (a bite-size variation on the long éclair) and I knew Aunt Molly would have been proud of me... many years of perfecting the art of eating them gave me insight into the making! Now in its ninth edition, the Audi Chef's Cup Südtirol has become an established gourmand and lifestyle event, bringing together the protagonists of the best national and international cuisine, in a breathtaking Alta Badia Italy, the well-known mountain locality voted the best Alpine resort by the Italian Touring Club in 2008. Supporters of this traditional event are two of Alta Badia's most famous restaurants: restaurant St. Hubertus - Relais & Chateaux Rosa Alpina and restaurant La Siriola - Hotel Ciasa Salares. Pomiroeu Restaurant Seregno (MB), one of the most involved restaurant during the gourmet week, will also welcome friends and colleagues coming from Italy and from all over the world. The event philosophy is simple but of fundamental importance. All professionals present share a mutual goal; that of maintaining high standards when it comes to the quality of local products, craftsmanship and selection of raw materials, essential factors that ensure the quality and value of Italian culinary products on the international scene. Audi Chef's Cup Südtirol has always lent itself as the ideal opportunity for professionals to discuss issues informally and is an occasion for great chefs, the public and companies to come together.... and this year, Hartford House's very own head chef Jackie Cameron will be in attendance. "The countdown has begun... my passport/visa is on the way back to me so all seems in order. Audi Chef's Cup Südtirol 2014 - the culinary excellence in Alta Badia... check the programme out here. All those chefs... and then me... Jackie Cameron, Hartford House, KwaZulu-Natal (South Africa)... had to chuckle! See this press release here to find out more. I am now truly getting excited at the prospect of being in the presence of all these fantastic chefs. Can't wait to try all their foodie delights and chat all things food! What an unbelievable time this is going to be. Thanks to all involved especially the team at Acqua Panna / S.Pellegrino for making this all possible. Check out www.chefscup.it to find out more." We have decided to share a banquet of recipes that generated the most responses over the year. Our readers continue to overwhelm me and I thank you greatly for your continued support and encouragement. All your comments are greatly appreciated; and I have learnt so much from the questions you have asked - so thank you for indirectly feeding me, or pushing me, to explore more deeply into specific culinary topics. I have recently returned from a trip to Thailand (watch this space for the article and tantalising recipes) and the night before we travelled home we went to the Bangkok Chinese market. What a delicious feast! I thought it appropriate to highlight my Trout Spring Roll recipe for you to try during the festive season. It's different, quick and easy. Little bite-size, sweet or Savoury Macaroons have become extremely popular. I have chosen a recipe for the orange-flavoured variety which is still my favourite. Try them - I'm confident you'll agree. 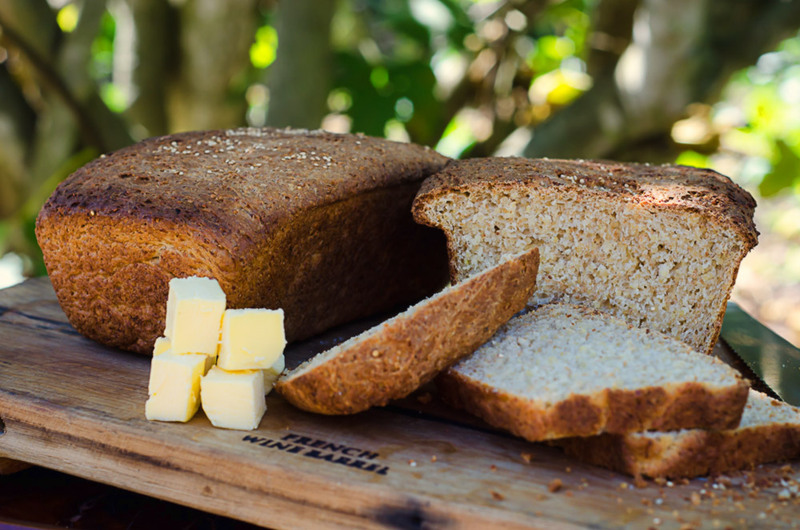 The number of comments I receive for baked items always delights me and this Quinoa Bread recipe, with an unusual twist, screams healthy and promises to delight. The oozing-chocolate tart was highlighted in an article showcasing my cookbook: Jackie Cameron Cooks at Home in which I mentioned that I was considering featuring this recipe in my next book. And yes, we have started talking about a follow-up cookbook but definitely no time soon. Please look out for the paperback copies of Jackie Cameron Cooks at Home that will be on the shelves in February 2014. This is another exciting development - and leaves me with the task of selling more books! And now to announce more exciting news... my book has just been awarded 'Best Woman Chef Book in South Africa' by Gourmand the world cookbook awards. My gratitude goes out to the team that helped with the book - the team that makes me look good. And speaking of teams... the Almond and Peach Tart recipe was developed for Olivia Schaffer, one of the most special people in my life. She has directed and mentored me in all my written work, making sense of my non-journalistic words and phrases. I often wish I had more hours in my days so I could sip copious cups of tea with family and friends over one-too-many slices of this tart. With festive-season celebrations in the air, it probably makes sense to round off the year with the best hangover cure: Croque Monsieur. Enjoy every oozing, cheesey mouthful. Here is to a fantastically productive 2014 with many exciting projects. Happy cooking, eating and celebrating.